In 2016, Agrii launched the iq training programme, which we believe is an industry leading initiative to support new talent in Agriculture. You will begin your journey entering the Establish programme, where you will be provided with the practical and theoretical training to support you to gain your BASIS Certificate in Crop Protection & FACTS qualifications. Following this you will embark on the Enhance programme. Enhance involves a number of elements that will combine and add real value to you and your role as a qualified agronomist. Covering both practical and classroom based training, led by experts in their field. You will also receive comprehensive and professional Business training which will be complimented by regular Development Workshops. These will ensure you are equipped with the necessary skills & tools to build your own successful agronomic portfolio. 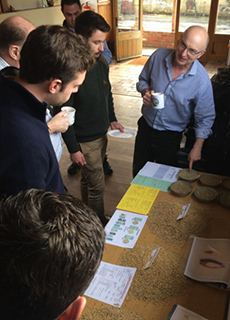 We are always keen to meet individuals who can show their ability and dedication to develop into a successful Agronomist, with the support of the UK’s market leading Agronomy business. Our training commitment to you is not time limited. We will allow you to grow and develop at your own pace, ensuring that you have a thorough understanding of the many aspects a modern Agronomist requires, in order to support the modern farmer. If you are interested in applying please click here to upload your CV. 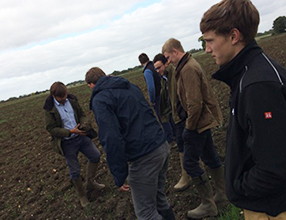 In the last 3 years we have taken on more than 30 new joiners, all looking to develop a successful career in various aspects of Agronomy Advice and also areas such as Research & Development, Soil, Nutrition, Seed, Conservation and Environmental Protection.